Ray Connolly's [his version ] new cover... Sergeant Pepper's Lonely Hearts Club Band. Last edited by karen on Wed Apr 04, 2012 7:42 am, edited 1 time in total. Thats really cool! Dusty looks good in the one Karen posted. Article in Guardian Newspaper at weekend re Jessie J and her sexuality.. [Dusty picture , and references] click on article for full report.. what do you think about this..
An image springs to mind of Dusty Springfield saying in 1970: "I know I'm perfectly as capable of being swayed by a girl as a boy." Then, this was such a brave, lonely statement – as out of the sapphic closet a lesbian could get without being publicly stoned to death. Now, what would it be – part of a module at the Brit school, entitled: "How to make your non-mainstream sexuality work for you!"? Put bluntly, looking around, Elton John would probably conclude that it's very different for gay males than when he started out. However, if Dusty Springfield were around today, what would she see? Some openly gay females, sure, but also others, still closeted, just not as heterosexuals this time round, rather as "bisexuals". What price progress? It is a good article and Barbara Ellen makes some valid points. The subject of Jessie J's sexuality isn't a new one though. She was featured on the front of a magazine a few months ago under the headline "I like dating boys AND girls". Why the fuss now I really don't know. Its noone elses business anyway. Yep, it'll be somebody elses turn next week. Jessie this week, Simon Cowell last week! I'm thinkin that these so called revelations are just another 'weapon' in the battle for Saturday night viewing figures. Its gotta be more than a coincidence that both Simon Cowell and Jessie J are featuring heavily in the tabloid comics at the moment. I couldn't be more disinterested in either of them. Re the article, and general comments about the press and music industries bias in favour of accepting gay male singers and reluctance to accept gay female singers... Thats slightly naive, imo. ..What can really be expected in a still male dominated world??! I can't help thinking some of these celebrities (guys and gals) aren't honestly gay. Perhaps to be trendy, in vogue, or as an attention getter (headlines). Naive ? Maybe. If it's in the press I suspect motive. Male executives exercise dominance over males as well as females, so I can see that part of the article. I'd rather see Dusty used as an example of artistry rather than one of social issues. A very good aerial view of Dusty's house in Harpsden. Next to the row of trees to the left of the house is a public footpath that runs from the top of the hill to the bottom. That's a big house. Could it be called an estate ? Dying don't come easy, but that place looks a lot more comfortable than a hospice, or hospital. 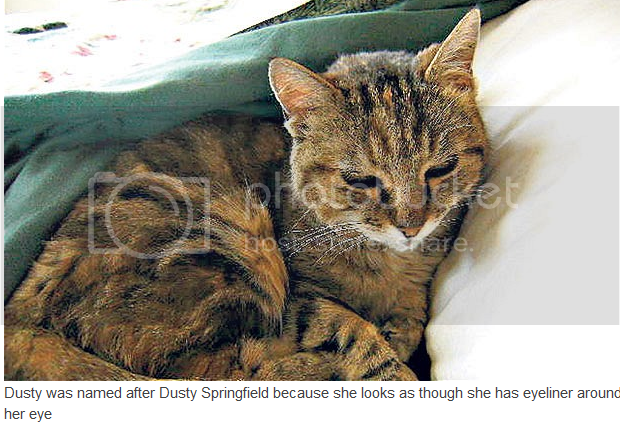 I know Dusty was in pain, but I hope she didn't bare to much sadness there. I think I read that she liked being able to look out on the garden, and the nature there. The U.S. Congress and President Barack Obama should endorse a fast-track approach leading to a rewrite of the tax code in 2013, Representative Dave Camp, the top House tax writer, said today. “Doing so would send a clear, strong message to the markets, to employers and families that Washington is serious about reforming our tax code and putting us on a path to sustained economic growth,” Camp said in a speech in Washington, according to prepared remarks distributed by his office. Camp, 58, a Michigan Republican, is chairman of the House Ways and Means Committee. He spoke today at a conference sponsored by Baker & Hostetler LLP, the lobbying firm Federal Policy Group and the Yale Club of Washington. The fate of a tax code overhaul is linked to other fiscal policy issues. They include automatic spending cuts starting in January and expiration of tax cuts that comprise a so-called fiscal cliff late this year that could reduce the gross domestic product by about 3 percent if Congress does nothing. Camp and House Speaker John Boehner, an Ohio Republican, want to couple the short-term extension of expiring tax cuts with what they both called an “expedited process” to ensure a tax code rewrite in 2013. They haven’t decided on details of the process or estimated what the consequences of inaction would be. The House Republican budget adopted earlier this year calls for dropping the top individual and corporate tax rates to 25 percent from 35 percent, eliminating the alternative minimum tax and reducing the number of individual tax brackets to two from six. The proposal would require Congress to curtail or eliminate many tax breaks, and Democrats have criticized Republicans for not being specific about the most politically difficult portions of their plan. Camp has been holding hearings and planning sessions with House Republicans. The administration hasn’t proposed an overhaul of the entire tax code. It won’t do so because negotiations last year with Republicans proved “impossible,” Treasury Secretary Timothy F. Geithner told Camp at a Feb. 15 hearing. Camp urged business groups and others with a stake in the outcome to get involved in the process of making those tradeoffs. He also said no decisions have been made on reviving miscellaneous tax breaks that expired at the end of 2011. These so-called extenders include the research and development tax credit and accelerated depreciation for motorsports tracks. Oh that woman gets everywhere Paula LOL. Too bad the statement is used by a republican in a negative sense. They're using her, and abusing her here. Without knowing her true feelings about the song. Last summer Karen posted the program from the In Dreams jukebox musical featuring Suzi Jary as Dusty & also Connie Francis. Suzi's currently involved in an apparent revamping of In Dreams entitled The Twist in which she reprises Dusty & Connie & adds her impersonations of Brenda Lee & Petula Clark. The show's website - http://thetwistshow.com/pictures.html - lists dates from this coming July to November of next year. Here's Suzi with the last part of SOAPM leading into Middle of Nowhere. Here's WhatsOnStage.com's assessment of Suzi Jary's impersonation in The Twist: "Headlining the performance is Dusty Springfield who, as the spotlight reveals her, looks like a bizarre mixture of Cruella De Ville and Lily Savage as she is topped off by the most horrendous, lopsided, huge, peroxide wig. Her voice is superb, and her flawless version of You Don’t Have to Say You Love Me is only marred by the laughter emanating from an audience that is still reeling from her strange appearance." I did think the closeup of Suzi as Dusty appeared rather caricatural but assumed the look would come across as less extreme to an audience viewing the stage: that this evidently wasn't the case at this specific performance is hopefully just a matter of how this specific venue - the Worthing Pavilion - is set up. It's a shame if that's not the case as even recorded by mobile phone the Youtube clip of Suzi as Dusty was vocally & physically impressive - no need to have any parody element factored in. BTW - her name is Suzi Jary, not Suzy Jary as cited in the review. Well she is still being included on some CD's got this today..
Nice to see this Karen, looks like a good cd. Dusty is mentioned as recording in this studio and a picture of her is also featured. You can also listen to the story. thanks to Carolyn Brunelle for pointing this one out. karen wrote: Well she is still being included on some CD's got this today..
now that is an awesome CD cover. yea..I agree with the judges. There is some pretty good talent this year, so fa,r and she just didn't cut the mustard. Nice little snippet that Karen, very colourful, like how shes worked with Dusty songs in mind. For those in the UK, two Dusty related repeats this week. Tonight on BBC4 at 10pm is "Toast", the drama about the childhood of chef Nigel Slater set to Dusty's songs. Then Friday on BBC4 at 9pm "The Queens of British Pop", which begins with Dusty. I know this was posted a long time ago, but I'm a new member. I refer to the story covering the One Show and Dusty's beehive. My dad is 'Mark' aka her hairdresser. We have lots of memorabilia of Dusty, as she was also my brothers godmother. I'm really proud to have known her, she was a formidable woman. Wow, Joe, that's incredible! If you don't mind, we'd love to hear more! Me three! Hope you'll share some stories about Dusty, Joe. hey joe, welcome. you've got to know how excited we get when we hear from ANYONE somewhat associated with Dusty. I'm sure most , if not all of us, would love to hear of any stories or remembrances that you could share on Dusty. maybe even photos...it's quite exciting to see any new photos of Dusty as we always think we've seen them all. welcome joe!! great to have you here!! Welcome Joe. Can't wait to hear your stories and do you have any pics of her?? Hope you will share them if you do!! Yes Joe as everyone has said would be wonderful to see pictures , hear stories re this.. thankyou..
A commercial just came on for KY Yours and Mine gel and guess what song was used..."Wishin' & Hopin'". I kid you not. Thankfully Dusty's voice wasn't used but here you go. It's part of their Valentine's Day push. What would Dusty have thought about her hit being related to this product? I think she would have roared with laughter! She latterly thought it was a joke song! My thoughts exactly, Pat. LOL. Allee wrote this track , “I Wish That Love Would Last” which was the flip side of a single titled “It Goes Like It Goes” (written by David Shire & Norman Gimble) and this was released in 1980. This was a song featured in Norma Rae and the track “It Goes Like It Goes” won an Academy Award for best original song. The song written by Allee is considered a rarity among Dusty fans as it rarely pops up on anything and I cannot find it listed on any soundtrack. That is why I am including the pics posted here. “I WIsh That Love Would Last” can be found on the following 2 compilations. RIP in Dusty. I had absolutely no idea that my song was on the flip side of that single! As I’ve said a trillion times before, the songwriter is always the last to know. This was the first song of mine Dusty did. I remember standing in a parking lot talking to her about it. David Lasley and I wrote this right after we wrote “Lead Me On”. My other two Dusty songs were “Send It To Me” and, of course, WHIDTDT. Dusty had the best stack-o’-sweet-rolls hair ever! Thank you for the link Markus, can't think that I have seen it before. interesting snippet. Saw this bit on Ebay. Yes I thought it appropriate Carole! But look at the date of the picture. She mixed up Easter with Christmas. Saw this and its pretty cool I think. Artist/famous in alphabetical order. Dusty on BBC4 on Friday at 11 o'clock re the Classic Soul At The B.B.C. I know a lot has been written on the board regarding Dusty's stage frocks etc. However having seen "the Dress" at the party on Saturday, ably worn by Laura and Kristin, I came home and watched my fav YT of "Up on the Roof" (in colour) I realized that Dust was wearing the same design dress but in lilac. I wondered how often she used the same design but in different colours/materials?. Another point about her costumes, when appearing on the Andy Williams shows,in the States, I assume that she was dressed by the show. All of them are unusual for her as she displays more of her shoulders than perhaps we're use to. I wonder how Dusty felt about that?. Good ol' Charlie Watts, always liked him He's right too. Swing Out Sister's longtime producer Paul Stavely O'Duffy knew Dusty and had produced one of the songs on the Reputation album (Arrested By You). In 1996 they (Corinne, Paul and Andy Connell) wrote Dusty a song that they hoped she would record for their next album, Shapes and Patterns. They sent Dusty the track and she got back to them saying she loved the song, but she was ill and not well enough to record it. Corinne went on to do it herself and it's a lovely song, actually one of the best on the album. I got a bit emotional when she told me this story, as it just fed into the could-have-beens, had Dusty not gotten ill. I wish so much she had stayed with us a bit longer. But anyway, here is the song they wrote for Dusty, "Now You're Not Here". Swing Out Sister are my favourite post-sixties group. I've always loved their sound. What a treat a Dusty collaboration would have been. Lucky You Markus, Loved Breakout and Where In The World. Glad to see they are still performing, Corinne still has a great voice, and the Band sound really good. Good Song too, could definitely hear Dusty singing that. @Maggie- they're my favorite band as well. The live show they put on these days is a real treat. @Darren- they've also continued releasing albums- in fact, i think they've done their best work in the new millenium. They were supposed to tour the US in 2010 but the volcano erupted and they had to cancel, so I was really anticipating the show. They didn't disappoint. I met them when they were promoting It's Better to Travel. I was in college and interning at a radio station in San Francisco. They were quite nice. I was hoping they'd tour the West Coast, but unfortunately not this time. I'm glad they're still out there. Neil posted this on Facebook and I don't think it's been added here, apologies if it has. It's a pub wall in Brighton. Just seen this, its pretty cool isn't it? Thank you Neil and Carole. Thanks Clive. Kiki still looks fab. Thanks Clive , yes it was lovely of her to mention this .. Loved hearing Kiki and seeing Dusty on the clip. Kiki still looks good. She was speaking on Radio 2 the other day. How does she stay looking so young?! Two mentions of Dusty on WGBH's (public television in Boston)" open source. Hopefully the links will work for you to see the actual clips, if interested. The Links worked fine for me Nancy. Nice pieces Thanks. Seeing this snippet from an article on Dolce and Gabbana in Milan, made me wish I'd at least peeked in the window when I was there in June! It also reminded me of this mirrored Dusty that was for sale in a shop in London in 2004. I wonder if it made its way to D&G? LEGENDARY songstress Dusty Springfield emerges from a glass mural, a portrait of a Madonna - the original - is splashed across the back of a chair, and a huge porcelain rooster evokes the spirit of Sicily. Entering the vast private salon of Domenico Dolce and Stefano Gabbana on the top floor of their global headquarters on a grim autumn day in Milan is like stepping on to a catwalk at one of their famously flamboyant shows. That's very interesting Carole. Thanks for sharing. Definitely Dusty on BBC 4 tonight at 11pm. Jennifer Holliday includes The Look Of Love and dedicates it to Dusty on her new album. Thanks Clive. Dusty should have got top-billing on the song What Have I Done Too Deserve This? as well as the T-Shirt -Dusty Springfield and The Pet Shop Boys, not the other way around. That's Brilliant Maggie. Thanks For sharing the best review of Cameo I have yet to read (Apart from the last line). Also does anybody know if one track (and which one) was dropped from Cameo at the last moment, cos the reviewer mentions Twelve tracks not Eleven. I thought this a nice Dusty story! oh what a lovely tale (tail) and Dusty looks like a lovely little soul there. What a lovely story. Very much a Dusty cat. What a lovely story Cas. Aww! Lovely Story Cas. I used to have a Rabbit called Dusty, but HE was named that because of his colour. Not strictly true but "Nicholas" was well provided for. Saw this not sure if its been posted or not, just a line and a pic about our girl. Oh dear that was embarrassing for him Cas , would have loved to have heard Dusty's opinion on this wouldn't you ?? Thanks for posting this Cas. I too would h have loved to have heard Dusty's take. Yes me too. I would have loved to have seen her laughing hysterically too! A bunch of clippings and some scrap books have come to me today and I've been going through them. This tiny little one, with hindsight, is more than a bit creepy. Umm I don't like that one Carole. No not the best of people to comment about her is it ? Not nice, but little did we know what horrors we would read some 50 years on. "Dusty Springfield - another female vocalist who came of age in the 1960s, albeit on the other side of the Atlantic - would be coaxed out of retirement in 1987 for a masterful duet with Pet Shop Boys' Neil Tennant. 'What Have I Done To Deserve This' could hardly have sounded more typical of 1980s electro-pop, but Springfield rose to the challenge with a vocal that recalled the downbeat majesty of her work two decades earlier."